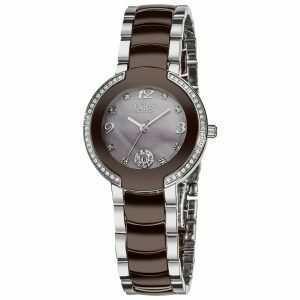 Citizen EM0222-82A Silhouette Eco-Drive women's watch features a 34mm wide and 8mm thick gold plated solid stainless steel case with a fixed bezel and textured push-pull crown. 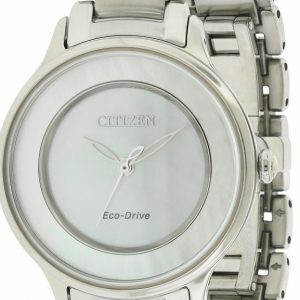 Citizen EM0222-82A is powered by an accurate Japanese E031 Eco-Drive movement (Eco-Drive is fueled by light so it never needs a battery). 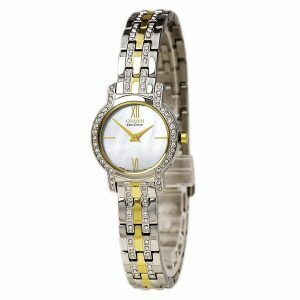 This beautiful watch also features a sharp looking milky white dial with gold tone luminous hands, scratch resistant mineral crystal and water splash (WR) resistant. 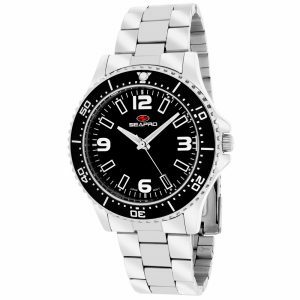 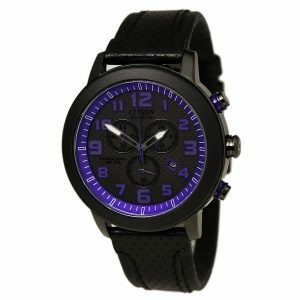 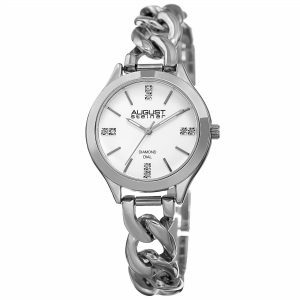 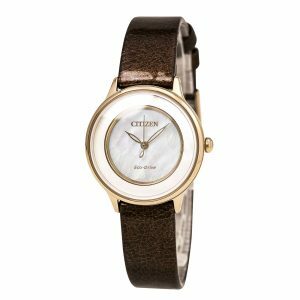 Citizen EM0222-82A is equipped with a 12mm wide gold plated solid stainless bangle bracelet with a push-button jewelry clasp. 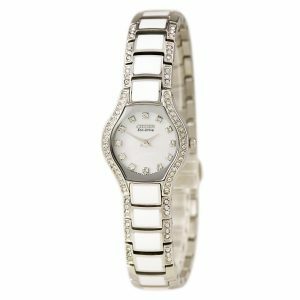 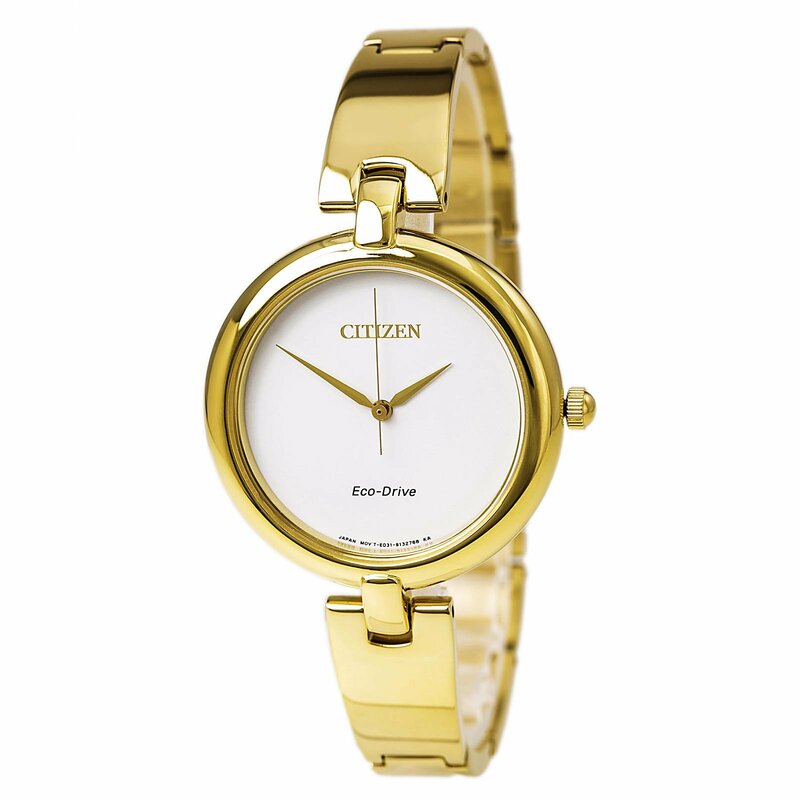 Citizen EM0222-82A women's Silhouette Bangle white dial gold plated steel Eco-Drive watch is brand new and comes in an original Citizen gift box and is backed by a 5 years limited warranty.